EcoTech Marine is generously giving away one of their brand new, just released Radion XR15w Pro LED fixtures to one lucky hobbyist in a Facebook promotional contest. To enter, all you have to do is click like, make a comment, and share the original contest announcement posted on their Facebook page. This will net you three entries ink the contest, and hopefully a brand new light fixture. The contest is open now until August 15th at midnight. Besides the light, the winner will also receive a free t-shirt and a bottle of EcoTech Elements Coral Glue. In celebration of the release of the new Radion XR15w Pro LED fixture, we’re having a Radion Giveaway right here on Facebook! 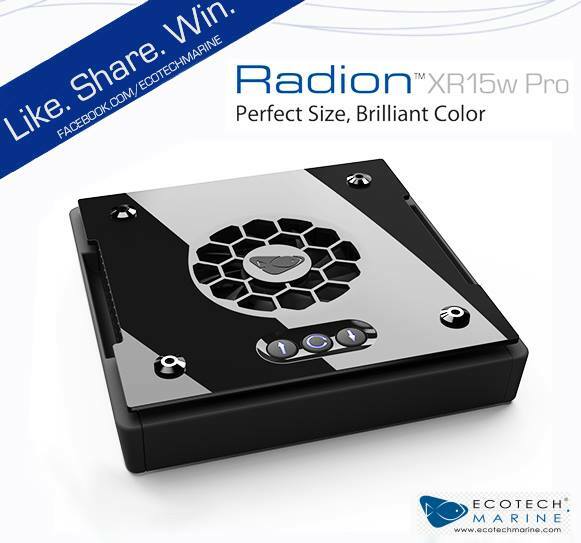 One lucky winner will receive an EcoTech Marine Radion XR15w Pro! That’s not all, either… the winner of the contest will also receive a complimentary bottle of Elements Coral Glue and T-Shirt! Contest begins now and ends August 15, 2014 at 11:59PM EST. One randomly chosen winner will be announced here on 8/16/14. 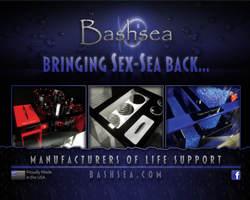 Be sure to tell your reefing friends and family, too… best of luck!